US President Donald Trump has stated that Washington recognises Juan Guaido, the president of the disempowered National Assembly, as the legitimate head of Venezuela. "We continue to hold the illegitimate Maduro regime directly responsible for any threats it may pose to the safety of the Venezuelan people", Trump said. Later, when asked if he was considering sending the US military to the country, the US president told reporters at the White House that all options were on the table for Venezuela. "We're not considering anything, but all options are on the table", Trump said. The United States has promised to take action against President Maduro and his supporters if they attempt to harm members of the National Assembly or other opposition officials. However, some countries have expressed disagreement with Washington's policy. Cuban Foreign Minister Bruno Rodriguez said that Cuba fully supports Venezuelan President Nicolas Maduro amid attempts "to stage a coup d'etat" in the Bolivarian Republic. "Firm support and solidarity of Cuba with constitutional President Nicolas Maduro in light of coup attempts", Rodriguez said on Twitter. 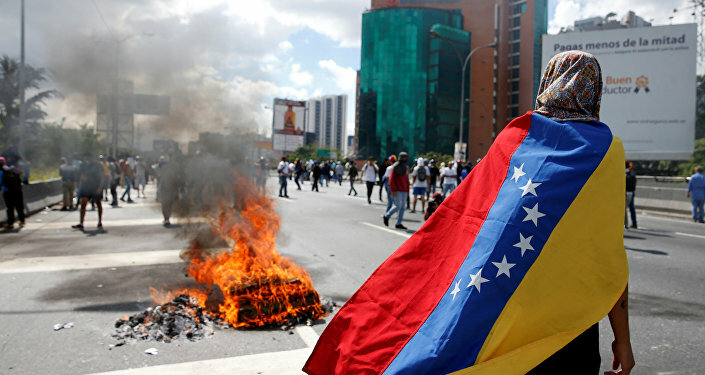 Russian Foreign Ministry spokeswoman Maria Zakharova said on Thursday that current events in Venezuela show the real attitude of the West toward international law and the sovereignty of other states. "The events in Venezuela clearly demonstrate the real attitude of the progressive Western community toward international law, sovereignty and non-interference in domestic affairs of states by manually changing power there", Zakharova said on Facebook. Venezuelan Ambassador to Russia Carlos Faria, commenting on the current situation in the Latin American country, had told Sputnik that the Venezuelan Embassy in Russia will remain loyal to President Nicolas Maduro regardless of the circumstances. "We will remain loyal to our President Nicolas Maduro as we did in the past regardless of the circumstances. Just as we will remain loyal to the heritage of Comandante Hugo Chavez and the ideals of liberator Simon Bolivar", Faria said. According to the diplomat, the United States has never before promoted a state coup as openly as it is doing now. "It is unacceptable that our government, our people could allow such an intervention by any state to happen. 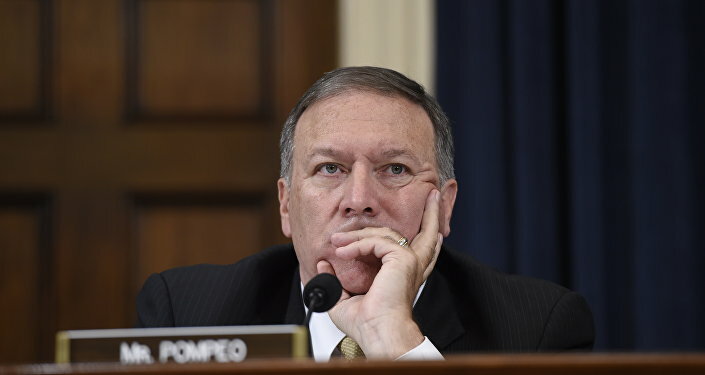 We have never seen the United States acting so openly to promote a coup as we see it now", he stressed. There is no article in Venezuela's Constitution allowing someone to declare himself president, the ambassador underscored. "Nicolas Maduro won the election last year on May 20. At least two opposition politicians were running in the election on the same conditions with Maduro but they failed to gather the majority of the vote", Faria underlined. Additionally, the Mexican Foreign Ministry said in a statement that Mexico continues to recognise the government of Venezuelan President Nicolas Maduro. "Based on our constitutional principles of non-interference, self-determination of peoples, peaceful resolution of international disagreements… Mexico will not participate in the non-recognition of the government of the country which it has diplomatic relationship with", the statement read. Turkish President Recep Tayyip Erdogan has also expressed support for his Venezuelan counterpart Nicolas Maduro, Erdogan's spokesman Ibrahim Kalin said on Thursday. "Our president called Venezuelan President Maduro, conveyed to him Turkey's support", Kalin said on Twitter. Still, some countries have expressed support for the opposition-controlled National Assembly. So far, along with the United States, Canada, Argentina, Brazil, Chile, Colombia, Costa Rica, Guatemala, Honduras, Panama, Paraguay and Peru have recognised Guaido as Venezuela's interim president. European Parliament President Antonio Tajani has also expressed support for the Venezuelan opposition leader, recognising his legitimacy. "I am closely following the situation in Venezuela. Unlike Maduro, Guaido has democratic legitimacy. It is necessary to respect demonstrations and freedom of expression of the people who are tired of suffering from hunger and abuse by Maduro", Tajani said on Twitter. EU foreign policy chief Federica Mogherini, when commenting on the situation in Venezuela, said that the European Union is calling for an immediate political process leading to free and credible elections in the country and expressed support for the opposition-run National Assembly. Guaido, for his part, has expressed gratitude to the leaders of the countries that have supported him. "On behalf of all of Venezuela, I thank you for your commitment to supporting the will of the people of Venezuela", Guaido tweeted responding to US President Donald Trump's message, in which he recognised Guaido as interim president of Venezuela. Guaido also thanked the presidents of Chile, Brazil, Paraguay, the foreign ministries of Peru, Argentina and Colombia, as well as European Parliament President Antonio Tajani, European Council President Donald Tusk, and EU foreign policy chief Federica Mogherini for their support. The number of people arrested during anti-government protests in Venezuela has risen to 218, Foro Penal tweeted Thursday. Earlier reports indicated 175 people. According to the organisation, nine people were arrested on January 21, 34 people were seized on January 22 and 175 people were placed in custody on January 23. On 10 January, Venezuelan President Nicolas Maduro was sworn in for his second presidential term, which will last until 2025. The Organisation of American States, members of the Lima Group — except Mexico — and the United States refused to recognise Maduro's new term.